The South African squad to tour India has been announced and, keeping in line with squad announcements during Norman Arendse’s reign, has once again brought controversy to the national set up. Transformation is part of South African life, be it in politics, business or sport, it is something that we have all come to accept and even acknowledge is necessary. Forced transformation is not fair or just, and South African sport needs to rectify this before they are plunged into the darkness that envoloped Zimbabwean cricket a few years ago. When the team to tour Bangladesh was named it was twice vetoed by Arendse and there subsequently followed an ugly, heated period in South African cricket as Arendse, Majola and Arthur went to war, much of it in public. Arendse was unhappy with the racial composition of the squad, wanting 6 black players in a 14 man squad and 7 in a 15 man squad. The touring team had only 4 initially, and 5 when Peterson was chosen to replace the injured Harris. The team was eventually released by Majola much to the chagrin of Arendse. Arendse received a fragile vote of confidence after the fiasco and South Africa went on to complete a 2-0 series win. However it now seems that Arendse has got his way with the naming of the team to tour India. Andre Nel and Johan Botha have been dropped and Charl Langeveld and Robin Peterson recalled. While Botha did not cover himself in glory during the Test series, Peterson completed his first 5 wicket haul to help South Africa win the 2nd Test, and so that inclusion was expected. It is the dropping of Nel that will cause alarm bells for South African cricket. Nel did not feature in the Test series due to fitness and his place went to Morne Morkel. However Nel has been part of the South African Test eleven for the entire season past and would have expected to be in the team traveling to India. 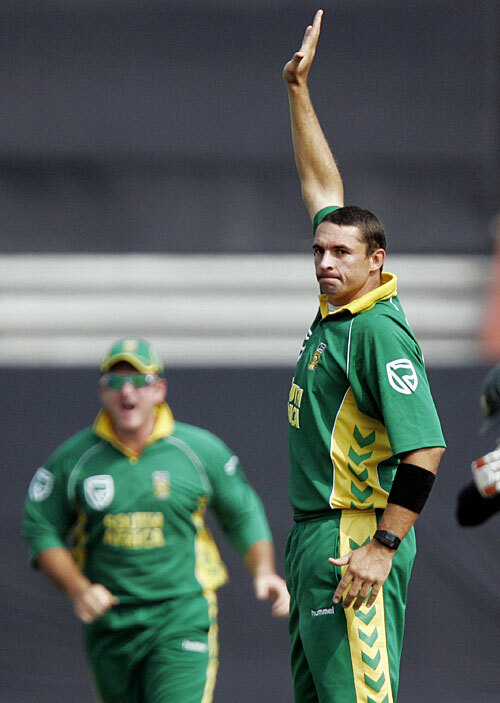 Langeveld, while part of the ODI set up for a long time now, has not featured in a Test since South Africa played Australia in 2006. The decision smacks of a white player being dropped for a black player so that racial targets are met. Nel was said to be extremely downcast by the decision, and had to be convinced to play in the 2nd ODI, where he picked up 4 wickets and was named man of the match. His emotion was evident with each wicket he took, proving to the selectors they had erred in the best possible way, on the field. He did not appear at the post match presentation nor did he speak to any media. 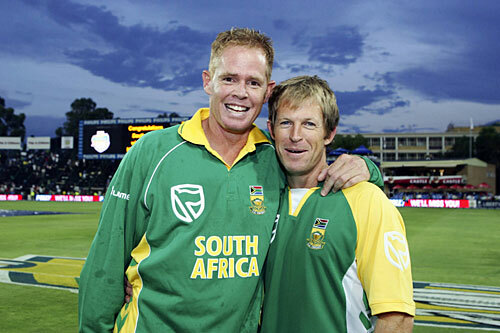 News coming out of the camp is that Nel is considering retiring from international cricket, and who can blame him? He has been dropped for political convenience and not sporting reasons. More so then Nel, Langeveld is the biggest loser in this scenario. He was to play Test cricket for his country, his ODI form has been good, and his ability to swing the ball would be an asset in India. Yet he now finds himself a political pawn in a game of appeasement. How does he benefit from this? If he has a bad tour, as many seam bowlers do in India, he will be wrongfully viewed as just a quota player, only chosen because he is black. This is the harm that the quota system brings to black players; they must continuously play with the knowledge that the system will have them viewed as statistics, chosen to meet a target. It is an embarrassment to players like Gibbs, Amla, Prince, Duminy, Ntini and Langeveld who have established themselves in the South African team, and to those looking to do so, like Peterson, Zondeki, Ontong and Tshabalala, that they are viewed this way. They are in the team or in contention on merit, and that should be enough to justify the feeling that transformation is working and can not be forced. Black players do not need the added pressure of having an unjust stigma burdened on them. Given the choice most black players would do away with the quota system at national level, and the administrators should listen to these calls. Ntini will go down as one of the best bowlers to ever play for South Africa when he retires, and not as the best black bowler. The quota system does more harm then good to the careers of both black and white cricketers. Surely those in power can see that? South Africa begin the post Shaun Pollock era of ODI cricket with a three match series against Bangladesh. While their will be stiffer tests to this new period in their ODI history, with tours to India, England and Australia to follow, the South Africans will be fully aware that Bangladesh can not be taken lightly, especially at home. South Africa need only to cast their minds back to the World Cup, where they were well beaten by a determined Bangladesh team. 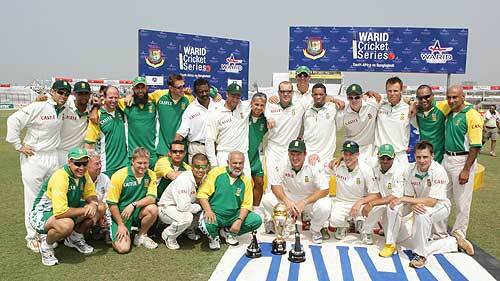 Although still the weakest of all Test playing teams Bangladesh are still capable of beating anyone on their day. A 3-0 win by the Proteas will take them to the top of the ODI rankings ahead of Australia. The selectors have chosen to omit Kallis, Boucher and Ntini from the ODI squad, opting to give them a rest ahead of the toughest touring itinerary they have faced, the India, England and Australia tours are all away. They will give opportunites to the likes of Hashim Amla and Paul Harris, both of whom will be making their ODI debuts, while Alviro Peterson, the Lions opening batsman, will get a chance to stake a claim for future tours. AB de Villiers will fill in for Boucher behind the stumps. The real test for the squad will be the bowling, and in particular the new ball bowling. Not only is there a void left by the retirement of Pollock, but his new ball partner Ntini is being rested. Charl Langeveld, Morne Morkel and Dale Steyn will all be striving to show that they have what it takes to fill in that huge gap in the attack. Albie Morkel will also be out to show the selectors that he can play as the all rounder in the squad, as a change bowler, and a destructive finisher of an innings with the bat. They used to say the Jonty Rhodes saved around 20 runs an innings with his fielding. The same can be now be said of Shaun Pollock in terms of his strict, disciplined bowling. With Pollock bowling from one end South Africa were assured that their strike bowle, Ntini, could come blasting in, attacking, from the other end. Pollock not only ensured South Africa got off to a tidy start, he created pressure, and in so doing helped those around him pick up wickets. 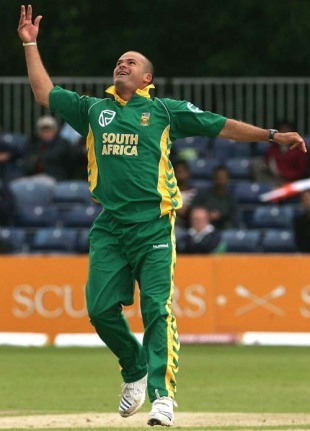 Morkel, Langeveld and Steyn will have a lot to do, but they are not Shaun Pollocks. No longer will South Africa have the luxury of having their opponents 40/2 after 10 overs, they will have to work hard at keeping things tight and restrictive, cutting back on extra’s, and will have to rely more on getting wickets to curb the run rate. The short three match series offers players a chance to step up, to show the selectors that they are capable of taking over from the legend that is Pollock, while also offering the selectors a chance to scope where they can go from here, in a post Shaun Pollock era. The true worth of the man, although never underestimated during his playing days, will well and truly be felt in the coming months. Lets hope someone grabs their chance. Should Gerrard Stay or Go? There comes a moment in every season, usually around December/January, where Liverpool realize that they are out of the championship race and that the best that they can hope for is 4th place, and the Champions League place that comes with it. It’s then that they begin to talk of next season, about how they will regroup, and come back next season with a sustained championship challenge, that next season will be the season they have been waiting for 18 years. And come December/January of that season it is Manchester United, Arsenal and Chelsea fighting it out at the top with Liverpool again lagging behind and trying to hang on to 4th place. Steven Gerrard, Liverpools captain and driving force, knows this talk is not good enough and that things must improve. When Liverpool reached last seasons Champions League final, only to lose to AC Milan, the fans expected the team to carry that performance through to the new season, to finally give them hope of adding to their record 18 league titles. They have been waiting 18 years to make it 19, and will have to wait a while longer. Just as 3 years earlier, in Rafa Benitez first season in charge, when Liverpool won the Champions League, great things were expected the next season, and yet again all that was felt was disappointment. Last season the talk was that Liverpool just needed to add a top class striker and a winger to their squad and they would be up there with the big three. Fernando Torres arrived from Athletico Madrid and Ryan Babel from Ajax. Surely the jigsaw was complete? Yet again they have been left in mediocrity. While Torres has been a revelation, especially in his first season outside Spain, and is surely in contention for player of the year, Liverpool are even further behind the top 3. Torres goals have been flying in, when he has played, and only the incredible Christiano Ronaldo and dynamic Adebeyor have scored more in the league this season. While the team continues to struggle with Benitez clearly ineffectual rotation policy, it is captain Steven Gerrard who has the most to lose. Gerrard has been Liverpools best player for a decade now. The life and blood of the team, who has almost single handedly driven them forward in the Champions League and carried them in the league. Liverpool have been as close to a one man team as is possible during the last few years. Without Gerrard it wouldn’t be a far stretch to suggest that they would be a lower half team. Add Torres to the mix and they have effectively become a two man team. If they lose any of these two players they’ll have a real struggle competing for 4th place never mind any talk of actually being championship challengers. When Gerrard hangs up his boots, and no doubt he will go down as one of Liverpool’s best ever players, he will come up way short in terms of medals. He needs a league championship medal as much for himself as for Liverpool, and as much as he would love to give the Liverpool fans the title they crave, he may have to move on to fulfill the successes he himself needs. As much as Liverpool runs through his blood, any fans who think he will stay no matter what are living in hope more that realism. That glass was shattered when he handed in a transfer request after Liverpool champions League success three years ago. He should with that move, regardless of him deciding to stay, that his ambition will trump his heart. And the longer Liverpool fail to make a sustained challenge for the title, the more frustrated Gerrard will become and the more likely he will look to throw his lot in with one of the worlds biggest teams, more likely Madrid, Barcelona, Milan or Inter, then Chelsea or United, but I wouldn’t rule out that option either. Ambition is a hungry monster. As much as Gerrards heart tells him that next year will be different, next year Liverpool will last the pace, they’ll buy well in the summer, and come back stronger and with endurance, the truth is far less likely. Each season Liverpool are able to improve their squad, but the so are the top three, and each season the gap in class between the top three and the rest gets bigger and not smaller. United added Hargreaves, Tevez, Anderson and Nani to their squad, Chelsea can buy whenever they feel like it, and Arsenal’s young players keep improving each passing season. Torres apart, and maybe Babel in the future, Liverpools acquisitions have been far less impressive. This is made all the more apparent when you look at the number of players Benitez has actually bought each season. For every Torres and Babel there are three or four unknown players who are never heard of, fail to make it, and are shipped off a season or so later. He may try to be a Wenger in terms of unearthing undiscovered gold, but his record shows he has a long way to go. If he continues with his rotation policy he wont be improving that record at Anfield in the near future. Steven Gerrard will have to leave Liverpool if he has any aspirations of going down as one of the greats in the modern game. To do this he has to win titles, and that is something that he may never achieve at Anfield in the prime years of his career. All the worlds big teams will be watching closely, putting feelers out, and hoping. They would all love to have a Steven Gerrard in their engine rooms, and he may come calling sooner rather than later. While South Africa may have the most recent history of sustained racism built into the political fabric of the country, the truth is that just about the entire globe has been beset by racism in its past, through colonialism, slave trade, and the “discovery” of new lands, the blood spilled by racism has seeped through us all. Yet even today, in a time that is supposed to champion equality and freedom for all, we are still seemingly trapped in a pit of distrust and ignorance. Sport, the business of recreation, of play, of games, that has become one of the most popular and lucrative enterprise in the world, has not managed to escape this fall. Sport should be vestibule of equality, where teams come together, forged by all colours and creeds under a unifying flag, and in a spirit of fairness and togetherness, compete for a common goal. Yet it seems, just like everything else where power and money meet, the needs of a few will out weigh that of the mass. America has, since freeing the slaves, preached all who will listen that they are the land of the free. Yet if you take a look at their sports make up it becomes very clear that it is the land of the white. Forgetting hockey, which is as white as an Olympic swimming final, the three big sports in America, baseball, American Football, and basketball, all suffer from this senseless problem. Baseball, which many see as the national pass time, has a ridiculously low percentage of black players at only 8.9%. With the numbers so low it is no surprise that there are only 2 black head coaches in the league. The problem may not be as racially motivated as the numbers suggest when you compare the numbers of players involved in the two other sports. Baseball just seems to take a back seat to Football and Basketball amongst black athletes . In the NBA 75% of players are black, while in the NFL that number has slipped a bit to around 65%. With by far a majority of its players being black both sports of terribly low numbers in positions of authority and leadership. While there are virtually no black owners in the sports, save the NBA’s Charlotte Bobcats Bob Johnson, there are only 6 black head coaches out of 32 teams in the NFL and only 3 general managers, and 11 black head coaches from 3o NBA teams and 8 general managers. How can sports made up of 65% and 75% black players produce so few head coaches and general managers? The NFL also only has around about 5 starting Quarterbacks each weekend. The message they are sending out to the world is that you can do all our running and catching, but nothing that involves thinking. They are mentally handicapping black players by not trusting them with positions of leadership. The NFL has even issued a rule, called the “Rooney rule” after Pittsburgh Steelers owner Dan Rooney, that requires owners to interview coaches of colour for coaching jobs. The issue is systematic of the society and culture of the country, one that openly acknowledges that black athletics may be superior athletes, as evidence by their large numbers in the NFL, NBA and track teams, but does not think much of them academically. Until society gets to grips with this cerebral phobia sport has no chance of over coming it – but they can begin to show the way. The problem is not of course endemic of America alone, and examples can be found in all the leading sports throughout the world. The worlds most popular sport is soccer, and the most popular league is arguably the English Premier League. While black players in England are the minority, as the population is predominantly white, the issue of a lack of black club managers and even coaches is one that has to be looked at. Since the advent of the Premier League, some 15 years ago, and before that the old First Division, the only black managers have been Jean Tigana and Ruud Gullit. Only two black managers in the history of the top flight? That’s a frightening statistic. At the moment there are only 2 black managers in the league, Paul Ince and Keith Alexander, out of 92 teams. Around about a third of players in England are black, yet they aren’t being given the opportunity to manage teams. While it is true that black players have not always been viewed as equal, Viv Anderson was the first black England international and won his first cap in 1978, and thus it should take time for black managers to start coming through, two black managers today, could be 10 in ten years, 20 in fifteen, and so on. That may be a justifiable point, but is offset by the appointment of white managers, such as Gareth Southgate, who don’t possess the necessary required UEFA qualifications. I am in no way saying that Gareth Southgate, or Middlesbrough chairman Steve Gibson, are in any way or form racist, but am simply asking how can it be argued that black managers are not as yet ready when others are being employed without the qualifications? Like in America, it seems that there is an intellectual mistrust amongst chairman, all of whom are white, for black managers. They can run and kick a ball but not tell our players what do do or how to win. In a British society that is becoming more and more cosmopolitan, increasingly culturally and religiously mixed and blessed, this is an issue that has to be faced. Sport has always had the opportunity to bring people together. It has been the perfect vehicle for anti racism campagins, such as soccers Kick it Out, and Unite Against Racism. While it seems to work on the field it needs to take better care and understanding of its off the field management and thinking, to better reflect society and to ensure that equal opportunity for all is a reality and not merely a slogan. Sport has that power and reach. It now needs the will. South Africa wrapped up a 2-0 series win against Bangladesh after just about an hour on day four of the second and final test. The Proteas, who won the first test, in Dhaka, by an unconvincing 5 wickets, were far more ruthless in Chittagong, winning by an innings and 205 runs. The win was set up by the world record opening partnership of 415 by Graeme Smith and Niel Mckenzie, and the superb fast bowling of Dale Steyn, who picked up 7 more wickets to go with the 7 he collected in the first Test. Steyns 14 wickets earned him the man of the series award. Robin Peterson picked up his first 5 wicket haul in Test cricket, with figures of 5/33 in the second innings. 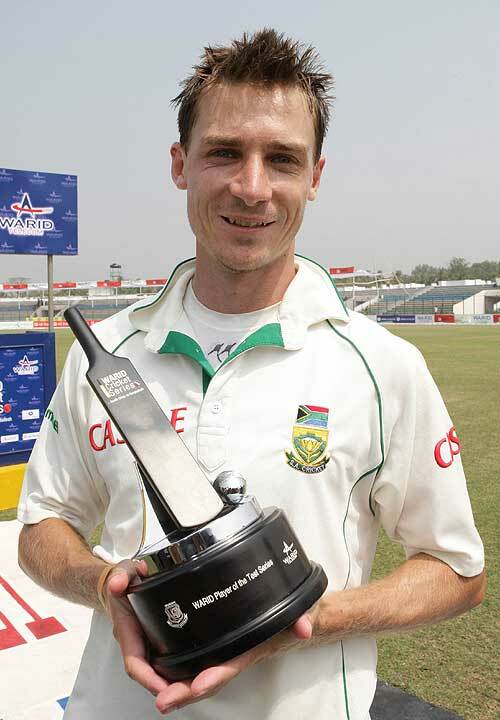 During the second test against Bangledesh Dale Steyn became the fastest South African bowler to 100 Test wickets, and the 9th fastest in the history of the game. Steyn, who took 20 matches to reach the milestone, goes past Allan Donald and Hugh Tayfield, who both took 22 matches to notch up 100 wickets. Steyn took his first 50 wickets in 13 matches, and the next 50 in only 7. Justin Kemp has become the latest South African cricket to throw his lot in with the rebel Indian Cricket League. He played his final game for a South African team on Friday evening, when he topped scored for the Cape Cobra’s, who he has been captaining, with a well constructed 61, in a low scoring win over the Warriors. Kemp joins Lance Klusner, Johan van der Wath, Nicky Boje, Dale Benkenstein, Andrew Hall and Nanti Haywood, as the South African players involved in the league, while Darryl Cullinan is a team coach. The South African u/19 team lost in a rain interrupted final against India in the u/19 World Cup. The South African team have performed amazing well in the tournament, knocking out 2 times defending champions Pakistan in the semi finals, in a tournament they came into as the 10th ranked team. Paddy Upton, the South African mental conditioning coach, is expected to be named as part of Gary Kirsten’s support staff with the Indian team. Upton had been working at Kirsten’s cricket academy in Cape Town. Kirsten’s first series in charge is against his old team, South Africa. The South African ODI team for the 3 match series against Bangladesh is a much changed squad. Kallis, Boucher and Ntini will fly home for a much needed rest, in preparation for a grueling season against India, England and Australia, all away. There was talk of captain Smith also being rested, but the selectors do not want to be embarrassed by taking Bangladesh too lightly, especially at home, and in this form of the game. Bangladesh effectively ruined South Africa’s World Cup dreams last year by convincingly beating them and in so doing put South Africa up against Australia in the semi finals. AB de Villiers will take over the keepers role from Boucher, while Hashim Amla and Paul Harris will make their ODI debuts. Amla is expected to bat at 3, filling in for Kallis, while Harris, a revelation in Test cricket, will compete with Johan Botha for the spinners position. As well as Harris, Vernon Philander, Charl Langeveld, Albie Morkel, and Alviro Peterson, and Herchelle Gibbs will fly out to Bangladesh to join up with the squad. With Ntini rested, and Pollock now retired, this will be the first series in about a decade that hasn’t had Pollock or Ntini opening the bowling for South Africa. Norman Arendse and Gerald Majola were both given a cautious vote of confidence by the General Council of Cricket South Africa, following the quota controversy that came to light before the current series. You are currently browsing the My Sports Blog blog archives for March, 2008.